A classic whole wheat chocolate chip cookie with a glass of milk! Match indeed made in heaven! Imagine to be able to have a healthier version of the buttery classic. 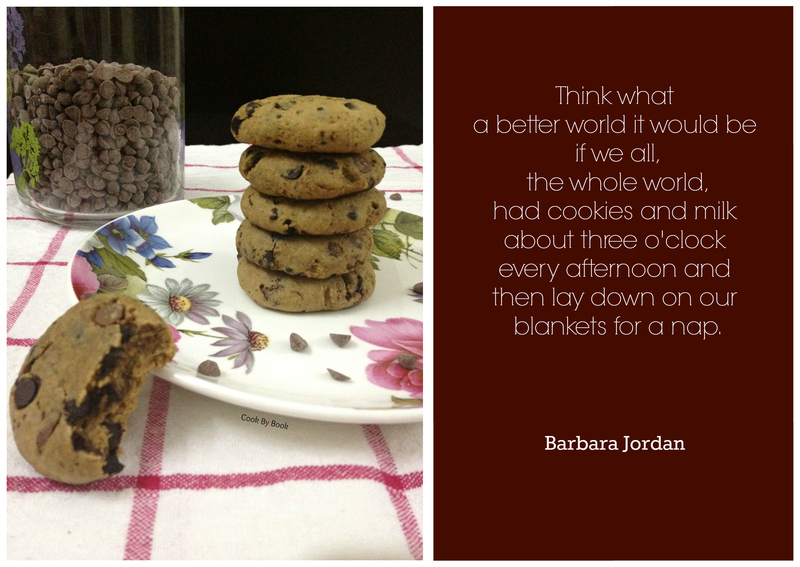 After receiving rave reviews about Inside Out Chocolate Chip M&M Cookies (Thank you all! 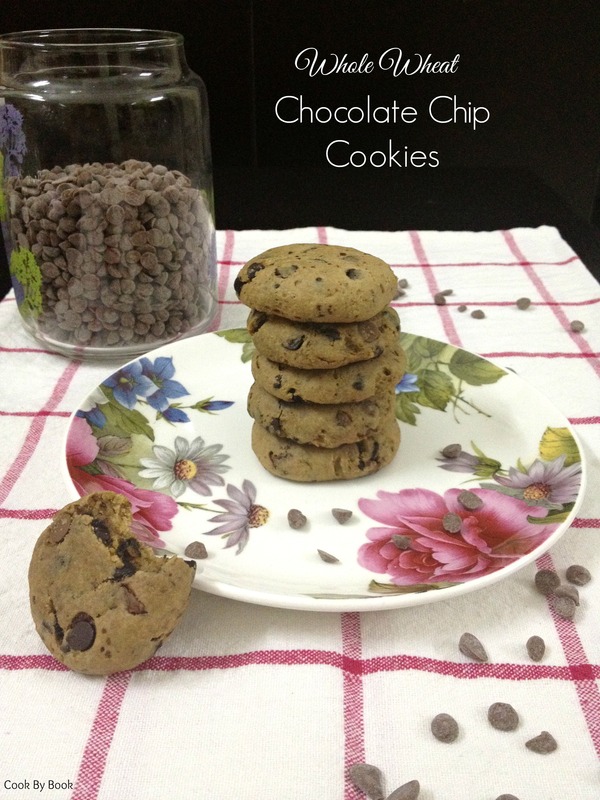 ), I decided to recreate them into a classic chocolate chip version. I used olive oil instead of butter this time around and skipped milk completely. The result was amazing. I am not claiming these cookies to be skinny or low-fat. They are still 120 calorie each (assuming you get exactly 30 cookies) but you won’t miss the evil fat here, trust me! Come on, olive oil is a good fat and so is whole wheat! superr recipe Riddhi.. .. the ones in the pic are crisp or chewy?